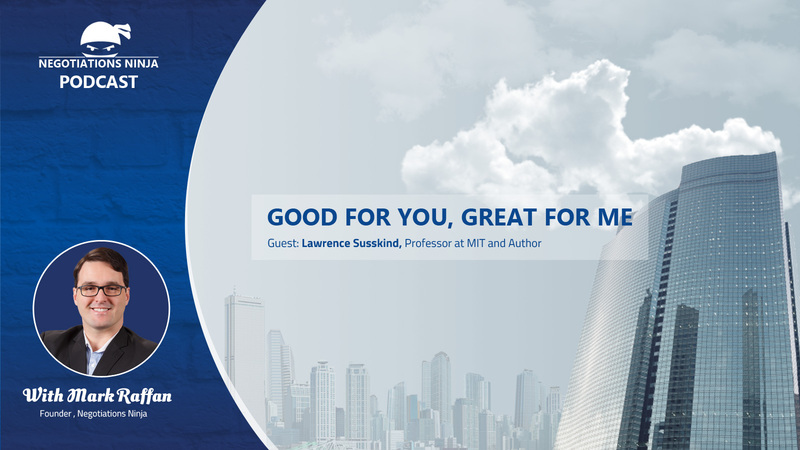 Larry Susskind, MIT professor and co-founder of the Program on Negotiation joins us to talk about his book Good for You, Great for Me. We’re talking about how to negotiate against the 900-pound gorilla; the organization that seemingly has all the leverage in negotiations because of its size. Larry discusses the “the trading zone”— the space where you can create deals that are “good for them but great for you” while maintaining trust.